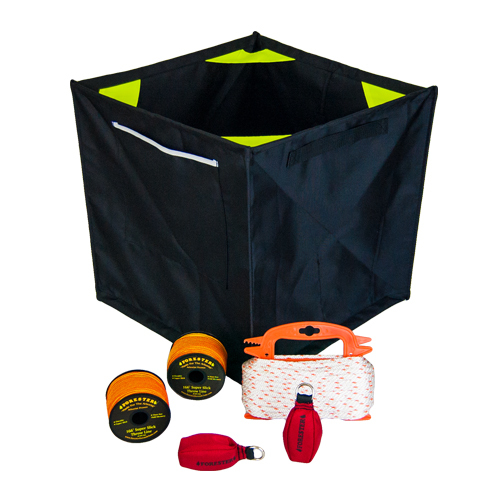 This kit really packs everything you need for a complete throwline system into one convenient kit, which saves you time and money. No more searching or piecing your kit together slowly! One cube, two spools of Super Slick throw line, two 14 oz throw weights and 50 ft of sash cord!